Not convinced about social media yet, but want to explore the reasons brands should use social media marketing? When I planned writing this article, I came up with the idea that I would just go on and on talking about listing all the incredible statistics of social media marketing, because after all, wouldn’t that be convincing enough? Fortunately, I decided not to, because I am sure most of you know that social media marketing is incredibly powerful in marketing already. Plus, while the social media statistics tell us that it is a tremendous marketing tool that can generate amazing results, It does’t give us other reasons why brands should use social media marketing other than that social media is “great”. So instead, I thought that you might be after some more practical answers to why you should be using social media, and what you can use it for. And fortunately, that’s exactly what I’ll be serving you today. Today, more than 88% of Companies are Using Social Media for Marketing, but the important part is that they aren’t using social media the exact same way. Social media can be viewed as a universal tool which has many features, and obviously, if a tool has several features, everyone will be using it differently. 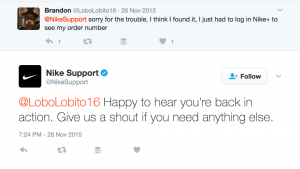 Some brands might be using social media for marketing, others might use social media for customer support, and others for building customer relationships. In this article, we’re looking at 24 reasons to use social media marketing, from a practical marketing and business point of view. If you want to learn about your audience, social media is one of the most powerful and effective tools in doing so. Social media can’t only be used for marketing, but it can also be used for customer research, which, ultimately, will help you better target and engage with them in your marketing. A part of the marketing that many businesses forget is their audience, and understanding what drives them. You obviously don’t want to just create a marketing campaign, throw it out there, and hope that your audience will find it and resonate with it. It would be great if that would be the case, but unfortunately, it’s not. In fact, all successful businesses know their target audience extremely well, and they’ve defined them in everything from customer personas to marketing strategies. The best part is that social media is the ultimate tool for learning about your audience. Firstly, remember that many people share their whole lives on social media. They update when they eat, they update what they do, and they update when they are going to bed. This is great news for you as a brand who is using social media, because it means that you can extract that key information about your target audience, reverse-engineer it, and build your marketing campaigns based on that information. But you obviously don’t want to stop there. You want to study hundreds and hundreds of people who are within your target audience to better understand the characteristics they have, the language they use, what interests them, and so on. You also want to look at the statistics of your demographics on social media, for example using Facebook Analytics or Instagram Insights. When you do this, not only will you get access to the standard key information, but you’ll also be able to extract things like their pain points (which you can solve). Social media stores a ton of valuable information about your target audience. The only thing you need to do is look. And if you take advantage of this valuable information, you’ll better be able to resonate and target your audience, leading to better marketing results. Remember, there are few places where people share so much personal information about themselves as on social media. And if you aren’t taking advantage of that information, you’re missing out – big time. The number of social media users worldwide is 1.96 billion. And in marketing, you’re dependent on reaching people and continuingly reaching new people. In order to acquire new customers, you need to reach them, appeal to them, convince, and convert. But if you’re marketing somewhere where there’s a limited amount of people or people in a particular demographic, you’ll only reach so many, and then, you’ll reach the same people over and over again, having already converted the people who were actually interested in your brand’s message. With social media’s user base, running out of people to target in your marketing will never be a problem. On social media, there are individuals in all age groups, from all countries, with all interests, and so on. For example, if you’re putting up a billboard in your town, you’ll only reach a restricted demographic, but on social media, you have the potential of reaching essentially everyone. The best part is that when you are putting up a billboard, for example, you have absolutely no idea who is going to see it, and if the people who eventually saw it had any interests in your brand. But with social media, you aren’t just reaching ”new audiences”, you’re reaching the right audiences. On social media, you can actively go out and look for people in your target audience by tapping into different conversations, piggybacking off influencers, and so on. Now, for example, your audience might only consist of people from Australia, and if you want to expand that market share to the United States, you can do that. You just need to target them and put a strategy in place. A major reason brands should use social media marketing is that your customers expect it from you. Or at least, they expect you to be on social media. Now, I could talk about the fact that your customers expect you to be on social media to share content, informing them about your brand, new happenings, and inspiring them, but that is not as urgent as providing them with customer service, and being ready to respond to them. As more and more people are now using social media, and spending more time on social media than ever, social media has become their go-to platform for interacting with their peers. But since they are already on the platform, you can expect it to become their go-to platform for interacting with brands too. Gone are the days of letter customer service, sitting in a phone line with 54 people in front of you, or emailing and waiting countless of hours for a response. Well, they’re not technically gone, but there’s a clear transition that is happening in the market. 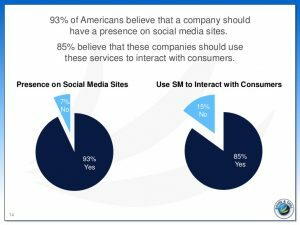 More and more people are using social media to reach out to brands, ask them questions, and turn to them for customer service. And it makes sense! If they’re already spending a lot of time on social media, social media becomes the natural tool for reaching out to brands with. 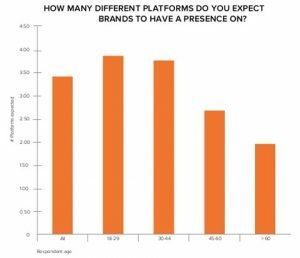 And this is both good and bad news, but it does contain a reason brands should use social media, and that reason is that your customers expect you to, and that should be reason enough. A study has found that 84% of consumers expect companies to respond within 24 hours on social media. Remember that the main reason that people want brands to be on social media is not to post inspirational content more so, to use it as a customer service tool. You now know that the majority of your customers expect you to be on social media. If this isn’t a reason enough, you just don’t value your audience enough, because what your customers want, you should give. Social media is one of the best customer service tools out there, and that is because of many reasons. Now, obviously, the first one is that there’s a lot of people on social media, but the second one is that, as talked about earlier, that you can extract valuable key information about your audience, and when you do, you can provide a more personalised experience that speaks to them and allows them to resonate with your brand better. This is something that simply isn’t possible with other traditional customer service platforms and tools. Not only is personalization in customer service an important reason brands should use social media, but there’s more. Another key benefit when it comes to customer service is that it allows for instant interaction. 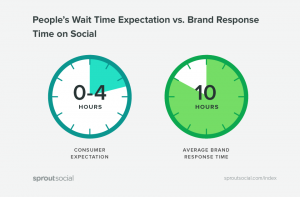 A study by SproutSocial found that the majority of customers expect a response within 4 hours on social media, but the best part is that it is much easier, and goes much quicker if you use social media, as it allows for instant interaction. 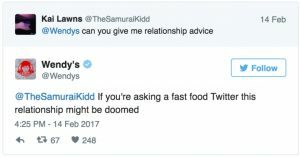 Brands who use social media have often found that they are able to provide faster customer responses, and thus make their customers happier and more engaged, while, at the same time, the responses they get are more customer-centric, as they leverage key information about the customer they’re chatting with. I often emphasize the fact that social media isn’t a marketing tool, but instead, it is a customer relationship tool. And far too often, I draw the conclusion that brands are underestimating the importance, and power of customer relationships in marketing. To build customer relationships should the main reason brands should use social media, because it is so incredibly powerful. If you look at the social media marketing statistics, they’re quite impressive. There’s no doubt about that. But the problem is that far too many brands think they can replicate that success by shoving as many ads as they can in their audience’s face because frankly, that’s the tactic they’ve used with traditional marketing, and that’s the marketing tactic that has been used the last decades. The more billboards you can be seen on, the more results you’ll generate. The only catch is that it isn’t true. to the approach you need to have to social media. Then we have the fact that billboards are overpriced exposure, but that’s a completely different story. Because people don’t go to social media to be sold to and because they want to see a bunch of ads. They’re on social media because they want to interact with people, see what their friends and peers are doing, learn something, and hopefully be entertained. 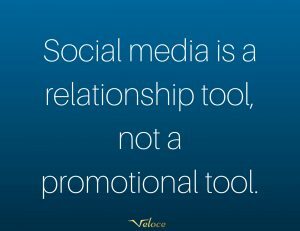 This is why the single most effective way you can use social media is by using it as a customer relationship tool. Customer loyalty and trust are the two main reasons why. Because interaction and relationships build trust, and if people don’t trust you, they won’t buy from you. Simple as that. Moreover, customer loyalty ensures that they won’t buy from anyone else than you, and be super engaged in your brand, and go around promoting it. As I mentioned earlier, social media allows you to extract key information about your audience, and ultimately, what this allows you to do is build stronger and more relationships with them, by becoming more personal. Now, relationships take some time to build, and trust takes time to establish, but customer relationships are far more valuable than any promotions and campaigns where you focus on shoving ads down your audience’s throats’. Never in the history of this earth have we been able to communicate with people from all over the world in a matter of seconds, and if you think about it, it means incredible opportunities for brands who take advantage of this opportunity. The brand that focuses on building strong relationships with its customers will win longterm over the brand that focuses on shoving ads down their audiences’ throats’, and winning short-term. So the bottom line is that social media is an incredible customer relationship tool, so start using it as one. Social media is one of the best and most affordable places to increase your brand’s brand-awareness. Back in the days, it was quite difficult to reach out to people and make them aware of your brand. Would you pay for an ad in the newspaper? Today, you’re doing the most obvious thing, which is to be where your target audience is spending time: social media. If you can just get in front of your target audience one time, you can make them aware of your brand, and brand awareness lays the foundation for getting customers because obviously, it’s quite difficult to get people to buy from you if they don’t even know you exist. As a result, increasing brand-awareness should be on every new brand’s marketing objectives, and if you are here looking for reasons brands should use social media, and you are looking to increase brand awareness, you’ll realize that social is the place. Anyone can participate in the conversations on social media as long as they have a computer or a phone and some internet connection. It doesn’t have to cost anything, and it is super simple to get started. You don’t need a lot to start increasing your brand awareness. In fact, getting just one ”like” on your post, or getting just one ”follower” means that you have started to increase your brand awareness. And remember, one is better than zero. 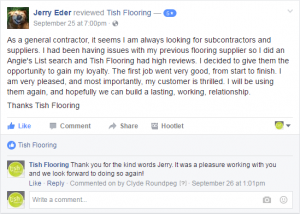 Social media is a great place for showing your expertise and connecting with people in your industry. Since soon-to-be two billion people are on social media, you can expect that people in your industry are indeed to be found on social media. Establishing your brand as an industry leader is incredibly valuable because what it does is it makes your brand the go-to brand for information and insight into that industry, and it also becomes the first thing that comes to people’s mind when thinking about the industry you’re operating in. 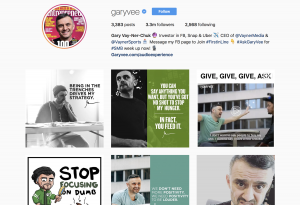 In fact, many of the people and influential leaders you know today, such as Gary Vaynerchuk and Tai Lopez have established themselves as industry leaders on the back off social media, and while they are personal brands the same principle applies. Social listening is a crucial practice for brands in order to improve, and this is an important reason why brands should use social media. As a brand, it’s tricky to know what your customers are thinking about you, what they dislike, and what they think is awesome. Back in the days, the only way to find out was by going one-on-one and talking to them. Then, of course, we have what many brands are still using today, the survey, which no customer wants to take the time to answer. It’s hard as a brand to improve unless you actually know what to improve on, and this is something that social media helps you find out. Today, more people than ever are using social media. It means that people have also taken the conversations to social media, where they are interacting with their friends, talking to brands, and so on. For example, if I had a bad experience with a brand back in the days, I would probably talk to my friend one-on-one about it. But the problem for brands is that getting access to that conversation, and getting access to those thoughts and opinions is virtually impossible unless they tap people. Today, people are having those conversations about brands on social media and if you just take the time to listen (social listening), you’ll be able to learn and identify quite a lot of valuable information, whether it be customers that are complaining or customers who are saying how you can improve. Social listening is essentially the act of listening to the conversations that are taking place on social media about your business – directly or indirectly. I won’t go too much into the benefits of having loyal customers because you know that already, but something worth knowing is that social media is an incredibly effective tool in making your customers more loyal. The most important reason for this is that social media allows you to interact and engage with your audience, and while doing so, have a more genuine and authentic conversation based on the information you can extract from social media. The way you gain engaged and loyal customers aren’t by interacting with them once, but instead, it’s about regularly and consistently engaging with them. If you make it into a habit to engage often and regularly with your audience, and speak to them as your friends, rather than just customers, the conversation will become more and more genuine, and more and more authentic, and thereby, your customers will no longer see you as just another brand, but instead, they’ll see you as their friend. If you don’t have loyal customers, you have nothing that will keep them staying with your brand no matter what. This means that if your competitors lower their price to one dollar cheaper than you, your customers will leave you, but if you have loyal customers, it takes a lot more than that to convince them to leave, because when they’re engaged, they’re not staying because you have awesome products, they’re staying because of you and the fact that they have built a strong relationship with you. Another reason that brands should use social media is that it is cost-effective. In fact, it can be completely free if you’d like it to. And with the right strategies, you can even generate quite amazing results, just by riding on organic reach. Sure, the organic reach is decreasing on most social media platforms due to the fact that there is so much content being put out, and just not enough time to consume it all, but there are certainly great opportunities, both for paid and non-paid marketing on social media. Paid advertising by using ads on the various social media platforms such as Facebook and Instagram has been able to show for great ROI. And what’s even better is that virtually any brand can use them, because you yourself set the budgets, whether you want to pay 1 dollar or a million dollars. An important reason why social media ads have shown to be so effective is due to the fact that they allow immense targeting. 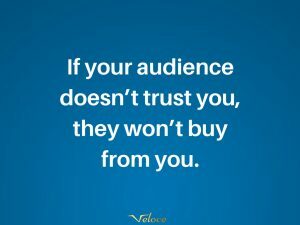 This means that you can laser target the people you re going to reach with your ads, and therefore only reach (and pay) for reaching the people who truly matter to your brand. This is a huge difference compared to, let’s say traditional television ads. Because what you’re paying for is the number of people who watch it (which is predicted based on an estimate), but the real truth is that normally, only a small part of the total reached audience is actually relevant to the brand, thus making the few that do convert expensive to convert, because of the rest of the people who didn’t convert whose attention had to be paid for. 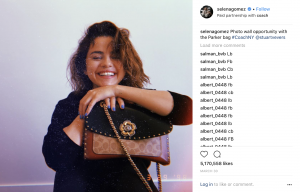 Since people are sharing virtually their whole lives on social media, the social media platforms leverage this information to help brands target their ads, and this is the reason why paid ads on social media have shown to be so incredible cost-effective. And if you don’t have a marketing budget at all, don’t worry. With the right strategies and campaigns, and not investing anything else than your time, you can generate quite incredible results. Even go viral and gain an immense traction. But the best reason brands should use social media doesn’t necessarily have to be that it is cost-effective, but more so, that it is suitable for all types of budgets. Because there are giant brands that spend millions of dollars each year on social media advertising, and there are brands that spend zero. But both of them are leveraging social media. Social listening is an important part, and I am going to elaborate a bit on that due to its immense importance. You probably know that it is far more valuable to retain customers than it is to acquire new ones, and this is something that social media allows you to do. In fact, social media allows you to do both at the same time. Now, you know that customers are sharing a ton of information about your brand on social media, but if you aren’t listening, you’re missing out on incredibly valuable information. Don’t just call of a customer who is complaining as something that isn’t worth paying attention to, because chances are, they’re talking for a lot of people who are experiencing or have experienced the same problem. Therefore, understand that the 4% who are complaining might be talking for the 96% who aren’t saying a word. Because for every customer who bothers to complain, 26 other customers remain silent. Moreover, It is 6-7 times more expensive to acquire a new customer than it is to keep a current one. 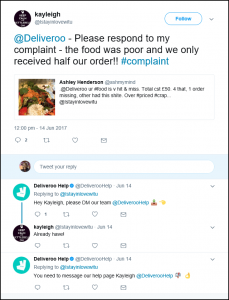 The fact of the matter is that the customers that are complaining are often the customers who care about your brand and want to help it improve. In other words, they want to continue being a customer of your brand, but unless you improve the thing they are complaining about, they might have no other choice but to leave you. This puts a great importance to use social listening to hear what people are saying about your brand on social media in order to firstly identify customers who have had a bad customer experience, but are just talking indirectly about your brand, and secondly, identify areas in which you can improve on. There is no other place where your customer shares so much information about you and what you should do to improve on social media, and this alone should be the reason why brands should use social media. Also, by leveraging social media for customer service and customer interaction, you present yourself as more approachable, and show that you are ready to respond, engage, and listen to your customers. Social media allows you to do a ton of different things when it comes to customer service, such as running live Q&A sessions through live video, answer to all your questions in a timely manner, and so on. 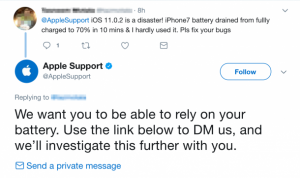 When dealing with customer service, it is crucial that you speak to your customer in the same language they are, because this will make them resonate with your and often items, it will make them realize that there’s a human behind that text just like themselves, making them resonate better with you, and humanize your brand. If they are angry and upset, it can even make them apologize for being so angry earlier as they realize that it’s just a person trying to do their job behind the other side of the screen. Social media is one of the best tools for brands to make their customers satisfied, to identify their customers’ needs’, and to help them solve their problems. Another reason brands should use social media is that it allows you to keep an eye on their competitors. Every now and then. you probably go to your competitors’ website to see what’s new, you check what they are doing if there are things you can replicate, and so on. Due to the high number of brands that are using social media today, chances are your competitors are using social media. And if you aren’t, this means they’re already one step ahead of you. But what social media allows you to do is stay updated with your competitors are doing. And not only that, it allows you to use them as lab rats, by looking at the things they are doing, and see if they are working well, or less well. In other words, you have them take the punch if they do something that doesn’t work that well, and you only go in and steal their tactics if they prove to work well. Also, when it comes to competitors and looking at the things they are doing, social media is also an absolutely incredible place to go in and steal their customers. Firstly, your competitors are your competitors for a reason, right? You both have the same customers as your target audience. Secondly, your competitor has probably been able to accumulate a few followers and an audience which consists of engaged individuals who are interested in your competitors. Now, there are a number of ways you can go about approaching the individuals, but my favourite is to look for the disgruntled customers of your competitor, because if they are complaining, it means that they are angry at your competitor, and if another opportunity comes their way, they won’t hesitate to make the jump to someone else and better – you. For example, let’s say that you see a customer complaining about their terrible customer service. You can then message that person and let them know about your brand, and offer them help. It might not be that strange, but it works incredibly well. Social media’s ability to retarget is an important reason brands should use social media. Social media ads allow retargeting, and this is a major deal. Website visitors who are retargeted with display ads are more likely to convert by 70%. The click-through rate (CTR) of a retargeted ad is 10 times higher than the CTR of a typical display ad. And it’s not so strange that retargeting works so well, since you target people who have had an encounter with your brand in one way or another, earlier. Therefore they must have some type of interest in your brand. Since you’re only paying for the people you’re reaching with social media ads, and you can reach people through retargeting with social media ads, you’re only paying to reach people who are truly interested in your brand, and are therefore more likely to convert, thus generating an incredible ROI. A reason brands should use social media is not only that they can go to their competitors steal their customers, and their strategies, because doing so means you have to have a social media presence in the first place. But another important reason brands should use social media is that if they are not using social media, the customers will turn to the competitors instead. For instance, let’s say that I am interested in tennis, and you are a brand operating in the tennis industry. 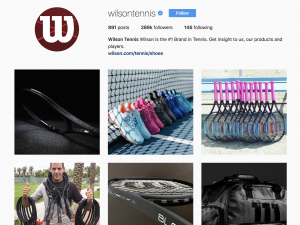 Chances are, I’ll look up tennis brands on social media and start following them. Naturally, those brands that I discovered on social media will slowly but surely become the brands that come to mind when I think about tennis, and naturally, the brand that come to mind when I need to buy new tennis equipment. In other words, for many customers, if your brand isn’t on social media, to them, it means that you don’t exist at all. You don’t want to fall behind on your competitors just because you don’t have a social media presence, but instead, your goal is to establish yourself as the leader in your industry on social media, and therefore become the go-to source for information in your industry – above your competitors. Due to social media having such an immense user base, it’s not strange that social media has users of all ages and demographics. This means that virtually every brand can find their target audience and succeed on social media, with a few exceptions. An excuse that many brands use is saying that their target audience isn’t to be found there. But as you know, that argument only works a fraction of the time, and probably not for you. As a brand, you want to take every opportunity you can get to interact and engage with your audience. And as you now know, social media is an incredible place for engaging and interacting with your audience. By being active on social media and engaging with your audience you show them that you want to interact with them. It means that most of your audience will start reaching out to you to interact with you. Did you, for example, know that 7 in 8 social messages to brands go unanswered, and what you do (and don’t do) speaks louder than anything else. This means that if you don’t respond to your audience, it shows them that you don’t care about them and you don’t want to talk to them. They won’t approach you, and you’ll miss out on incredible opportunities to strengthen your customer relationships. 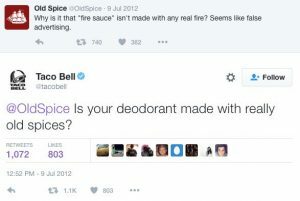 This is yet another reason brands should use social media. Because ultimately, your goal is to reach and impact your audience as much and many times as possible, and when you hear that your audience is engaged and using the platform active, it means that that opportunity and possibility exist. If you are active on social, you can reach your audience multiple times a day. When you are reaching them, you remind them of your brand’s existence, and you start etching your brand into their brain. Studies have found that users of social media in the US check their accounts 17 times a day, according. That’s a lot. This means that by using social media, you ensure that your customers never forget about you, and remind them multiple times a day. With a television or billboard ad, for example, you might just reach them a few times a week at max, and this might mean that they forget about you in the meantime. Today, you can see more and more brands becoming more and more authentic and human. And the reason is that it works! The brands adopt the personality and voice that their target audience has see tremendous success. What that will lead to is that the audience will resonate tremendously well with the brand, and they’ll get more engagement and loyal customers. Remember that people build relationships with other people, not faceless logos and brand names. And the best part is that social media is the ultimate tool which allows you to humanize your brand, for example by showing behind-the-scenes content, your co-workers, and the people your customers can expect talking to in different scenarios. The brands that have embraced a more personality based on their target audience and a more human approach see tremendous success and an incredibly engaged audience. That’s because they know the target audience, and then they use a humor that resonates with them. Moreover, if you’re on events and similar, using social media allows you to reach relevant people and get them to come to you. Since the goal of brands with social media is to reach more people, it will obviously lead to an increased brand awareness, which also leads to more opportunities. Now we can’t forget about the most important reason why brands should use social media and the most important reason why brands do! No matter what you do as a brand, the end goal is always to drive more sales and to sell more. Sure, you might argue that ”no, my goal is to improve my customer relationships”, and that’s correct, but that’s the goal of selling which has been broken down into more digestible pieces. By improving your customer relationships, you make your customers more engaged your brand. By making your customers more engaged, you make them more loyal, by making them more loyal, they start trusting you, and when they trust you, they buy from you. Plus, when they are engaged and loyal to your brand, they’ll have your brand on top of mind and the natural choice whenever they need the thing you’re selling. So the bottom line is that social media has the power to generate a ton of sales, and there are even examples of businesses that have been built solely by leveraging social media marketing. Another reason brands should use social media is that it helps drive traffic and ultimately website conversions. The more places you are to be found at, as a brand, the bigger are the chances that people will find you. Therefore, each time you’re sharing a link on social media to our website, you create new ways for your audience to get to your website, and ultimately buy from you. Traffic is the foundation for sales on your website, and social media, used in the right way can help you get that. Gaining traffic can be hard, but social media can help you with that. Moreover, social media has also proven to improve your search engine rankings, both for your social media profiles in search results but also for your website. The reason is that the more traffic you get, the better rankings you’ll have, and the more people who know about your website, the more people will search for it in Google,w which, that too will improve your search engine rankings. And when your search engine rankings improve, you’ll get more traffic from relevant people who might buy from you. Also, when using social media, you make more people aware of our brand, and this means that you increase the chances of people linking to your website and this granting it a higher authority and better rankings. As you can see, social media can help you get more traffic and more potential customers in a number of different ways – both directly and indirectly. Social media can help you build your newsletter subscriber list which can help you with potential conversions in the future. Since email marketing still proves that it is effective, building your email list is always a great idea as it is the first step to getting them down your conversion funnel. Facebook offers you to add a Join My Mailing List link right on your Page which is great for making people aware of your mailing list and getting them to sign up. And when you have the attention of your audience on social media there are an endless amount of opportunities for you to get people to join your mailing list. Traditional search engines like Google and Yahoo are no longer the only search engines that exist. In fact, YouTube, a social media platform, is the second largest search engine after Google. This is a greatly important reason why brands should use social media, because today, social media platforms have become search engines. 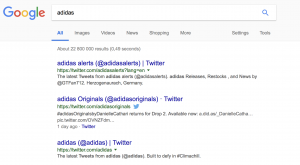 When people search for different things on social media, you can come up in the search result, just like your website comes up n the search result on Google, thus increasing your brand awareness and getting you in front of a potential new customer. You never want to neglect and ignore opportunities to get discovered and get in front of your audience. Plus, there are also chances that social media will play a bigger role in search engine ranking factors in the future. Another reason brands should use social media is that it allows fast communication. And fast communication is crucial for brands in many situations. And let me tell you, sending out letters, or creating a television announcement is far from fast. Social media allows you to share a message with the world in a matter of seconds and get your message across to your audience. The instant communication that social media offers also makes social media the go-to place when they want to interact and communicate with brands (including social media) because they expect instant responses. Also, social media has been leveraged as a communications tool by brands that were struck by social media storms and had to make a public apology. Safe to say, social media holds an incredible amount of marketing power, and if you aren’t leveraging it, you’re missing out on tremendous opportunities. What’s most interesting is that social media is not only a marketing tool which you can use to promote to your audience, but it is a tool that can be used for so much more than that, and thus drive your marketing benefits so much further than many believe. Moreover, it is a tool that allows you to work with marketing in so many ways – from building customer relationships, to increasing trust, to managing customer service, to running campaigns, and so much more. Which of these is the reason brands should use social media, according to you? And which reason convinced you to begin?